The name Townies comes from my Grandfather whose nickname was "Townie", he purchased his first horse in 1911 having first worked for his mother at the age of 14 years old driving a pair of horses to a Wagonette break taking paying passengers to Racecourses, pub Beanos and Social Gatherings. The business grew and by the start of World War II he owned 50 horses, some delivering coal for his coal business and others hired out to other companies such as butchers, bakers, greengrocers, hotel suppliers, funeral directors and railway companies. 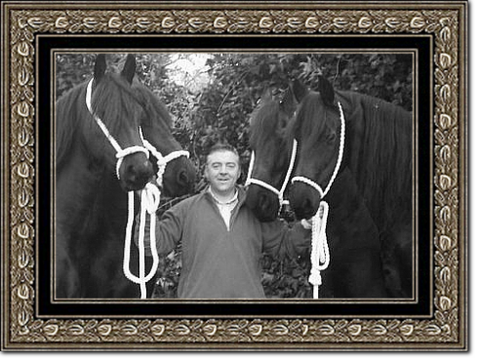 My father along with his brothers went into the family business working with driving horses for a living. I have spent all my life around horses. My son the fourth generation is now a Farrier and shoes our horses.